The good news is that the Kenworth T800W and the Mack Granite Series Trucks will be spectacular! We have been working hard on them and they both look great! The bad news is that, because of some mistakes made in the early tooling samples, we are going to be delayed a bit. We are looking at the Mack coming out in early 2009 - probably February. The Kenworth looks like March or April at this point. We apologize for the delay, but there is no alternative. We are dedicated to insuring the trucks are 100% accurate and they will be - so we have to take the delay instead of bringing out something that is not up to our standards. - Visors will be corrected on both trucks. - Both will have new rear fender configurations. The Mack will have single fenders and the Kenworth will have duals over the rear tires and singles over the lift axle. - Mack will have larger stacks. These are just a few of the more obvious improvements. Stay tuned for revised photos!! Any news on when the new Rogers 3+1's will be released Chuck ? Thanks for the updates....I'm sure most will have no problems waiting for these improvements on the T800's....look forward to the new pics. I look forward to the pics!! !....Is there ever gonna be a sleeper version released for the T-800W? P.S. Is the Sword website going to be updated soon? I am dying to look at detailed pictures!! Hey caught it before it is released and people complain then and you can not do anything about it. Kindly take ur time and allow all the errors on the models to be corrected. As you said the standard must be 100% as always. sword is a landmark company in the model market to stay and rise above all competion. Chuck any logging trucks or trailers? Or are you guys planing on making one in the future? We have prepared a Pitts Log Trailer, but have not produced it yet as we are not sure there is a big enough market to make them. - Nelson 3-Axle Ramp Trailer. - Rogers 4-Axle Lowboy w/Flip Axle. How about a Nelson Manufacturing Crane boom dolly? 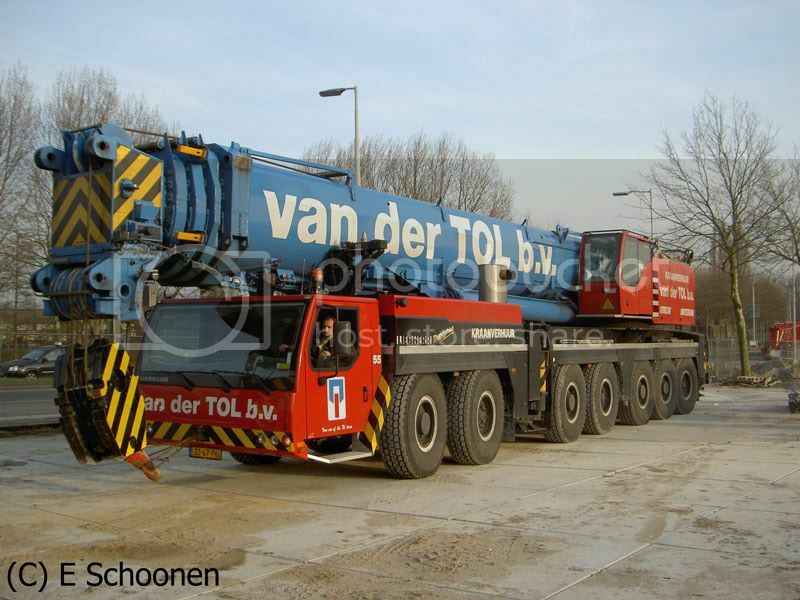 Or for the larger cranes like the AC-500, 7550 or maybe when the LTM-11200 9.1 is released a boom launch trailer? Or a pre-cast/stressed concrete transport w/ steerable dolly. 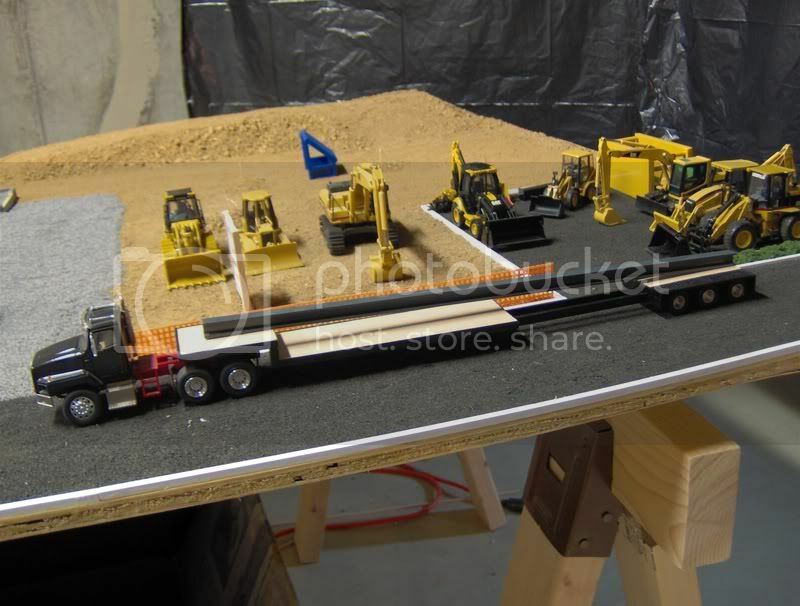 like these: http://www.nelsontrailers.com/steerable-dolly.php , maybe it could come complete with a load too? You can't sue me... I don't know what I'm doing!! I would like a frameless dump trailer. I second the 20 ton tag trailer idea for under or near $100, although it'd be nice if you can up it to a 25 ton maybe, that way, we can haul those new 320D L CATS coming out!! Also, the log trailer is a great idea!!! Thanks for the update on the trucks also!! Glad to know that when I place my order for the KW or Mack, it will be up to Sword standards!!! I am all for a some tag trailers, 10 and 25 ton would be good choices. Rogers, Talbert, or Eager Beaver they all are fine with me. I also like what Randy posted, and my addition would be step deck trailers. im gonna have to agree with the boom dolly that DemagTC2800 posted - pretty much i think all of his suggestions should be made!